In college, I studied to become a Spanish teacher and I taught in both public and private schools for a total of eleven years. Having worked in formal schools for so long, deciding to homeschool our child was not a decision we came to lightly, and it is one that we mulled over for a couple of years before we decided to do it. Despite the fact that I did get some training in teaching, teaching Spanish to high schoolers and teaching math and reading to a kindergartener are very different things and I did not feel very equipped for the job. There are tons of amazing curriculums out there. I ended up going with the curriculum I knew best because I was most comfortable with it and because I knew it was a good, solid curriculum. Is it the best curriculum out there? Probably not. Is it the best option for my child? Maybe. However, it is the best option for us right now because choosing it saved my sanity. My brain was spinning from all the well-meaning advice friends and family gave me on choosing curriculum. I was neck deep in different scopes and sequences and teaching approaches. In order to keep from losing my mind, I chose the curriculum I did because I knew it was high quality. Maybe, one day down the road when I have the time to really investigate the other stuff that is out there I will find something else that I like, but right now, choosing as I have done is the simplest option. When I first started teaching, I was concerned about the days where we did not spend as much time in her textbooks and following the teacher guides as I would have liked. Then, I started watching my daughter apply her new reading skills to road signs when we went to the store and her math skills to figuring out how many cookies she had eaten over the course of the day. The world is your classroom and lessons pop up everywhere that reinforce learning. Letting lessons happen organically over the course of your family’s routine is called ‘unschooling,’ and once I embraced it, my daughter’s learning seemed to soar, even on the days, we did not go the more traditional learning route. Not every day is going to be a perfect lesson and some days you will just want to take a nap while your pupil does some worksheets. Other days, you will have wonderful life applications, experiments, and kinesthetic experiences to add to your lessons. Do not feel badly when your kids end up doing more worksheets than hands on learning. You do not have to be perfect when homeschooling and frankly, worksheets are a very valuable tool. Their school day will go much more quickly at home than it will in a formal school setting. Two hours after our first kindergarten lesson, I realized we were done for the day and it felt a bit unsettling. Don’t kindergarteners in schools spend four to seven hours in the classroom? Well, yes they do, but that is often because of time spent waiting in lines, waiting for other students to catch up, socializing, and doing specials – things like music and art that your child is probably already doing anyway when they are home with you. Because your homeschooled child often gets one on one time with their teacher and lessons tailored exactly to their needs, they are capable of proceeding through their lessons much more quickly than their peers in formal schools. This leaves lots of time for free and creative play, reading, chores, and field trips. 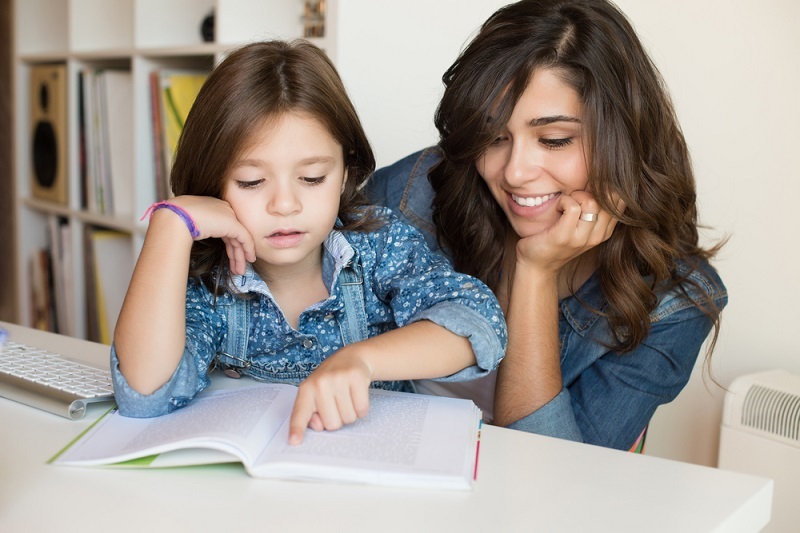 Deciding to homeschool can be daunting, but because you know your child and love your child unlike anyone else, you are uniquely suited to teach them and teach them well. If you want to homeschool, do not let your fear of the task or your feelings of inadequacy stop you. As their parent, you are probably the best person for the job because you want them to succeed more than anyone else in the world.